Eschew the tourist crowds and head to Reindeer Farm Petri Mattus and Inari Reindeerfarm. Step out of the city life by going to Saariselka Ski & Sport Resort and Lemmenjoki National Park. For ratings, more things to do, and more tourist information, you can read our Inari day trip planner . Brussels, Belgium to Inari is an approximately 15-hour flight. You can also drive. You'll lose 1 hour traveling from Brussels to Inari due to the time zone difference. When traveling from Brussels in February, plan for slightly colder days and colder nights in Inari: temperatures range from -6°C by day to -15°C at night. 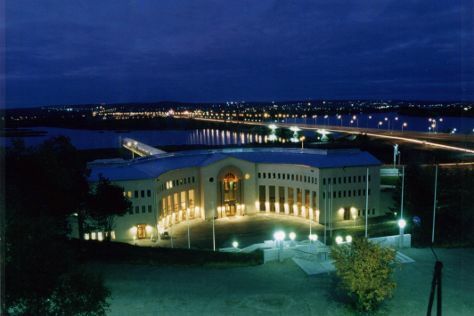 Finish up your sightseeing early on the 5th (Tue) so you can go by car to Rovaniemi. Eschew the tourist crowds and head to Pyhatunturi and Syvasenvaara Fell. Escape the urban bustle at Feelapland and Korouoma Canyon. There's still lots to do: admire the sheer force of Auttikongas, make a trip to Lordi's Square, have fun at Santa Claus Office, and get in on the family fun at Santa Claus Village. For ratings, more things to do, other places to visit, and tourist information, use the Rovaniemi day trip tool . Traveling by car from Inari to Rovaniemi takes 4 hours. Alternatively, you can take a bus; or do a combination of shuttle and flight. Expect a daytime high around -6°C in February, and nighttime lows around -11°C. Finish your sightseeing early on the 9th (Sat) to allow enough time to travel back home.